The Cuddle Cot™ system cools the baby allowing the baby to remain with the family thereby providing the family time they want. The Cuddle Cot™ cooling pad is placed in any moses basket, crib, pram or bed; it is connected by a specially insulated hose and is quietly cooled using the CuddleCot™ cooling unit. The Cuddle Cot™ system comes in its own carry case with different size cooling pads for premature and full term babies. The benefits of using the Cuddle Cot™ system is helping a family deal with bereavement. This has been widely accepted across the world and used in hospitals in The United States, United Kingdom, Australia, Canada. 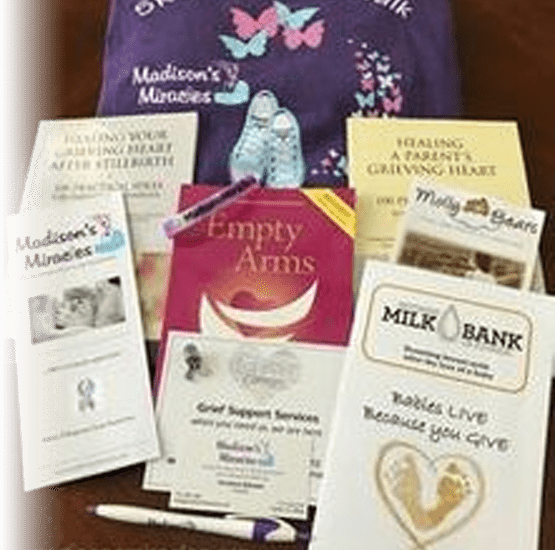 Madison’s Miracles provides hospital packets given to every loss family. 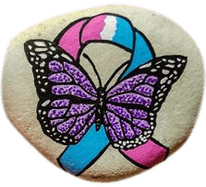 It contains the “Empty Arms” book, wristband, “Mom of and Angel” Pin, Connection card for local support group and other resources available.